Why is Jesus always talking about himself in the third person? Are you sometimes confused when you read the Gospels? But when we shrug our shoulders and say “Jesus is just weird,” it keeps us from asking any more questions. And if we don’t ask, we won’t get answers. If we don’t dig any deeper, we miss the chance to learn something. If we don’t dig down and find out why Jesus refers to himself as “the Son of Man,” then this simple phrase actually becomes a barrier between us and Jesus, a wall that keeps us from understanding what he is trying to tell us. It makes Jesus seem weird and it makes it hard for us to explain who he is and what he is like to other people. Jesus spent his entire childhood studying the Old Testament. His whole life was built on that foundation. So naturally, the Old Testament is the first place to look for some kind of idea as to where Jesus would have picked up such a strange turn of phrase. A quick search through the Old Testament for the term “Son of Man” reveals that it’s not a very common phrase, but when it is used, it means nothing more than “a person.” Big revelation there: a “son of man” is a person. It’s a poetic way to refer to a human being. However, there is one book in the Old Testament in which “Son of Man” is used pretty frequently. It is used by God himself in reference to a prophet named Ezekiel—over and over. In fact, the term “Son of Man” appears in the book of Ezekiel about ninety-four times, more than in all the rest of the books of the Bible combined. Prophets were weird. Jonah got eaten by a fish. Elijah outran a horse. But Ezekiel was probably the weirdest. He didn’t want to be; it wasn’t his fault. God just kept giving him weirder and weirder things to do. There’s another unique thing about Ezekiel that most people skip over. It’s his strange vision of God’s chariot, which is recorded in the first few chapters of his book. Ezekiel is the only prophet recorded in the Old Testament to have had a first-hand glimpse of God’s ride, and it was a life-changing experience for him. And out of the middle of the fire came some chayot. They looked kind of like people but with four faces, four wings, perfectly straight legs, and cow feet. They were really shiny. Under their wings they had hands. Each of them had one human face, one cow face, one eagle face, and one lion face. And there were glowing orbs going around between them, and they moved like lightning. So now you know why, when people ask “Why doesn’t God just appear and show himself in his full glory,” God rejects their invitation—for the same reason you don’t show horror movies to a little kid. We would be paralyzed with fear. Looking at the way God has chosen to reveal himself to the world—through the humble carpenter, Jesus—I think God wants to show us a less frightening side of himself. For now, at least. Anyway, most of us have never heard of these chayot—after all, they only appear in one place in the Bible. Right? Remember when Jesus went out into the wilderness and fasted and was tempted by Satan for forty days? The Gospel of Mark was originally written in Greek. The Greek word translated “wild animals” actually does mean “wild animals.” So even a Bible scholar would think, while reading Mark, that Jesus went out into the desert, and there were lions (or any kind of wild animal) and angels ministering to him, without being really sure what all of that means, though. It’s only two verses. Mark’s pretty fast-paced. Matthew and Luke really expand a lot more on this section of Jesus’ life. So when we get to this section of Mark, we usually read right over it. But Jesus didn’t speak that much Greek. Peter, the source for Mark’s gospel story, probably wasn’t that proficient in Greek either. He grew up speaking Aramaic or Hebrew, the languages of the Old Testament. Understanding this, the translators of the Delitzsch Hebrew-English Gospels rendered Mark 1:12-13 this way: “Quickly, the spirit brought him out to the wilderness. He was there in the wilderness forty days, and the satan tested him, and he was with the chayot, and the angels attended to him.” Is it possible that Jesus wasn’t fending off lions, tigers, and bears, but rather, that he had a supernatural vision of God’s chariot, like the one recorded in Ezekiel? 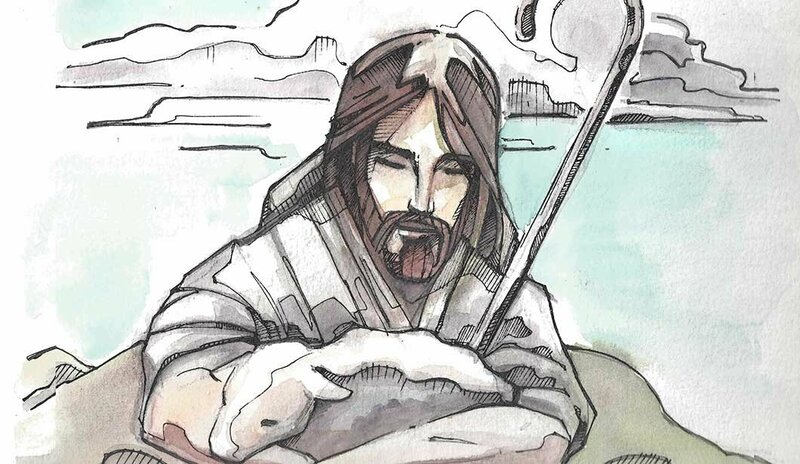 Perhaps that vision helped to shape Jesus’ self-understanding. He would have perceived from that experience that he, like Ezekiel, was an appointed prophet, a man with an important message from God. Perhaps he felt some affinity with Ezekiel, who was also in the position of being a human being—a “son of man”—whose destiny was marked with cosmic significance. I am sure that it was a life-changing experience. At any rate, knowing more about the Son of Man, chayot, and Jewish literature and language has helped me to understand Jesus a little better. But this is just a tantalizing glimpse—one little piece of Jewish culture, one little piece of the Hebrew and Aramaic and thoroughly Jewish stream of tradition that Jesus lived and taught within. Imagine how much more lies beneath the surface of our English text. 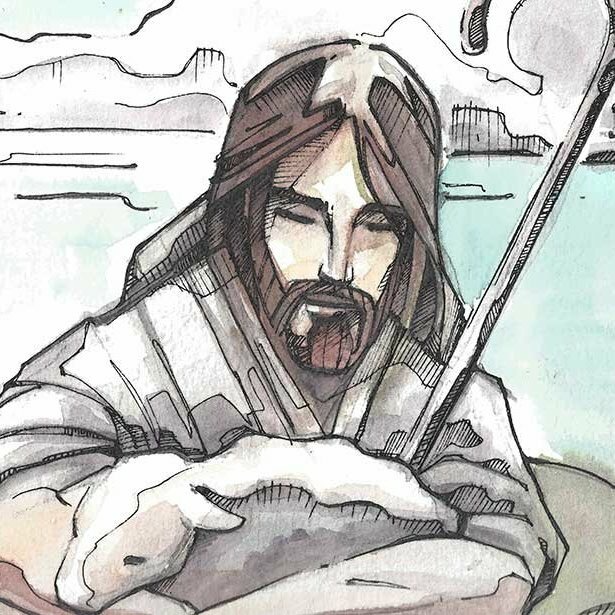 Imagine how much more meaningful Jesus’ words would have been to the people who first heard him, and who understood every allusion, every reference, every example, every illustration just the way he intended. Now imagine that there is a whole world of scholarship out there that has dug down—sometimes literally—into ancient Jewish life and culture, and brought out thousands of these little glimpses. And because of all this research and discovery, we have the potential to understand Jesus better today than any generation before us—going back all the way to the earliest church fathers—because now we have found something we lost long ago: Jesus’ Jewishness. And with this, with the knowledge that Jesus was Jewish, and with the light that his Jewish context sheds on the Gospels, we are equipped to know Jesus better and to be better disciples. 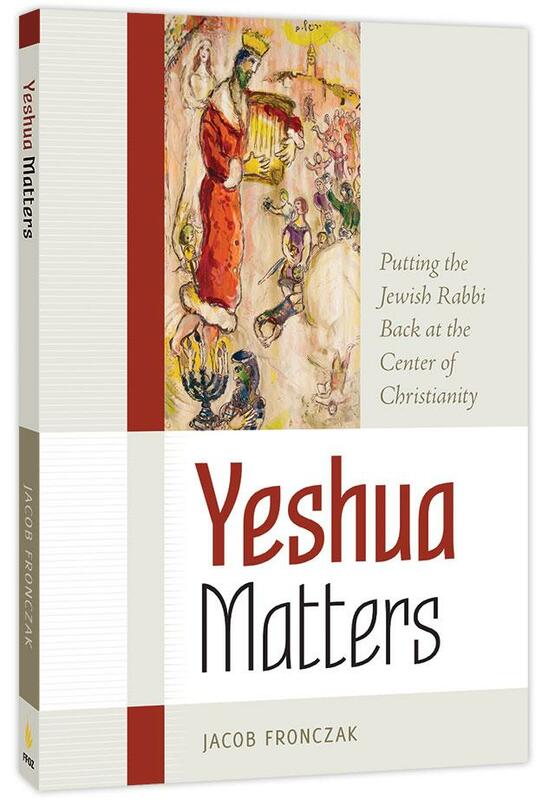 Adapted from: Yeshua Matters, Putting the Jewish Rabbi Back at the Center of Christianity, written by Jacob Fronczak.